Clandestine Drug Lab Assessment & Decontamination Services - Meth Lab Cleanup Company is a environmental firm that sets itself apart from its competitors by offering comprehensive, legally defensible services that include: clandestine drug lab assessments and testing, meth lab cleanup training, regulatory development assistance, expert witness services and precision meth residue test kits. 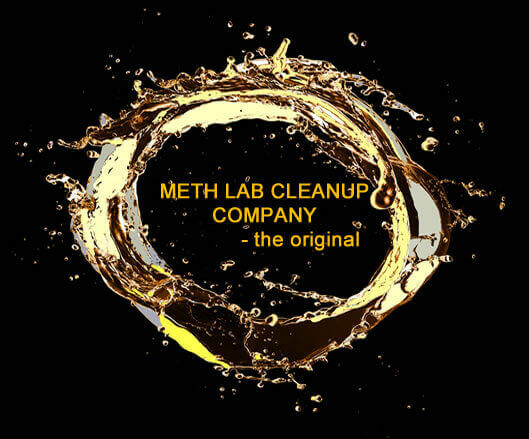 Quality Meth Testing Products - No other meth test kits on the market compare to the price and precision of Meth Lab Cleanup's AccuMeth®, Meth Assure® kits and Black Box Reader® device. In fact, there is no other product on the market like the revolutionary Black Box Reader®. We know how hard it is to find quality and technical excellence you can depend on when you are concerned about your health or your assets. Congratulations, you found it! Classroom & Online Meth Lab Cleanup Training - This is an intense two day course giving you and A to Z understanding of clandestine drug lab contractor requirements and teaches you about the most up-to-date decontamination techniques and testing products available. You will also learn how to legally document your assessment and remediation procedures - a must for your clients! We are now offering the FIRST comprehensive, 16 hour clandestine drug lab testing and decontamination online course. Without decontamination, the risk of exposure to potentially dangerous chemicals is likely. To address this problem, the twenty-three states have enacted legislation to protect future occupants from exposure to illegal drug lab chemicals. For a compete listing of clandestine drug lab regulations, go to our Regulations web page. High Intensity Drug Task Force agencies provide additional equipment and manpower to local law enforcement agencies to investigate illegal drug activity. Law enforcement investigators receive hazardous materials equipment and training that allows them to safely respond to the needed dismantling clandestine drug laboratories. For a complete listing of law enforcement agencies in the southwest region visit Wikipedia. The National Association of County and City Health Officials (NACCHO) maintains a listing of local public health departments in the U.S. The department most likely to oversee clandestine drug lab quarantine and clearance is Environmental Health. In some state, the Department of Environmental Quality have this responsibility. Clandestine drug labs are found in every state across the country. These labs are set up in homes, storage units, apartments, hotel/motel rooms, boats, and mobile homes. After a drug lab bust, the Indiana State Police and the Drug Enforcement Agency work to remove bulk chemicals and drug making equipment from the site. However, residual contamination may remain because the hazardous chemicals that are used in the manufacture of drugs can cause contamination of porous wall and floor coverings, heat and air conditioning vents, and furnishings. In many cases, new occupants moving into former drug labs are unaware of the problem. The U.S. Drug Enforcement Administration (DEA) publishes a list of addresses of some locations where law enforcement agencies reported they found chemicals or other items that indicated the presence of either clandestine drug laboratories or dump sites.